IS KA team made visit to KWAB, Chesire home during this weekend and here is the brief update. Place of Visit: Karnataka Welfare Association for Blind.Sheshadri puram. Ravi kumar precided over the on behalf of IS, Shiva delivered a thought provoking speech and assured that India sudar will do its best to the welfare and development of this organization. Thereby we lit the hopes of the visually challenged kids, the smiles we brought on their faces energized us as well for our further deeds. Followed by this our team visited to the new location to which most of the inmates of KWAB are shifting. After the primary study it was concluded that the place requires renovation and facilities were not meeting even the basic requirements. Our team members interacted with the engineer and managing trustee and first level of decision regarding project estimation were made. The activity of renovation was kick started on this special day. Our members participated in the cultural event organized by the very talented kids here. The events included extra ordinary vocal and instrumental music performances. Our team also interacted with the NCC cadets from Ammani College, Bangalore. With the exchange of thought we could build a new network with the energetic students of this college. With the sense of satisfaction and feel of patriotism we dispersed for the day. The India sudar team gathered at the chesire home at 8.30am. A brief meeting was held with the founder and Managing director of Aashayein foundation. In this meeting the following points were discussed. The scaling up shisksan abyan project where in the government school students will be guided in learning English so as to make them competitive enough. Groundwork like feasibility analysis and resource structuring needs to be done for techno gyan project. A preparatory meeting was planned to be scheduled during the weekends to conclude on points of discussion with Mr.Beluragi who is visiting Bangalore on Feb. 8th . We also had breakfast with the physically challenged inmates of chesire home and got to know about their living standards there and were happy about its efficient functions. The efficient functions in particular include the women empowerment by providing self-employment. This economic independence has made the physically challenged women here very self-reliant. This is a remarkable learning for our members from this model. We got to meet more volunteers and were very happily surprised to see energetic youth from IT sector interested towards such social cause more specifically because it was a Sunday morning. We then disperessed for the day. Our chennai chapter members came across this student sudying B.Sc in Tamil Nadu Arts and Science College , Vanagaram, Chennai. He is verge of dropping out of studies because of financial details. We have collected comprhensive details of him. The pending fee is 8000/- We request you all to contribute & make his life brighter!! Thanks to suresh/Saravanan who have got details !! We verified all the information. Based on the relative confirmation, Ruban has decided and joined this course. Unfortunately, his relative is now no more. So, he is struggling to pay the fees now. 2. He had scored 58% in +2, as he was put on to school called MCNHSS at TNagar which only has 7 students in +2, coaching standards were much below as those of govt schools. 3. His present college is affiliated to madras univ, which gives board exam results during mid of feb, it will be too late to wait till second fortnight of feb.
We would fund him provided he would score minimum 75% if has to get our fee funding. I have come to know that a visually challenged person (Blind) economically backward student named Mr. Robert White, who finished his graduation at Loyola College , Chennai and got selected for doing B.Ed., (English) at the same college. Owing to his disability and financial situation the college has given a concession of Rs.20,000/- and admit in the college and asked him to pay the balance Rs.40,000/- (Forty Thousand Only) within this month, which is an big amount for him to pay, since he was no relatives and close friends to support his education. On hearing this last week, I along with India Sudar Member Jeyaseeralan went to Loyola College and met the student Mr. Robert White and spoke to him and found that he is an Orphan from Pudukottai District and very much interested in the studies. 2) Identification Card given to student. Please comment on this and try to help him to continue his education. We made a casual visit to KWAB, GOM Orphange and NIHMAN Girls Home during this weekend and here is the brief update. One of my colleage (Mr.Senthil Nathan) donated lunch to KWAB kids from Krishnacafe on Saturday and I joined with them. Mr. Murthy shared their new-urgent requirement for Rs. 40,000. They had to vocate their current home from Kumara park area to Sheshardripuram, due to that they need to do some minor repair at new rented place. The estimated Cost is Rs. 40,000. Ram would visit along with a builder to this place during this week and check the estimation. Ashayein Foundation scheduled there brekfast program at NIHMANS (Girls Section) home near Shishu Mandir on last sunday. Myself and Shiva joined with them. It was surprise to see more than 30 volunteers assembled there. Based on our conversation with few staff and girls over there, there is no requirements as of now. And then we visted Shishu mandir, some renovation and extention work is in progress. We had a meeting after the breakfast program, we explained about India Sudar activities and our forthcoming project with Mr. Beluragi. Ashayein Foundation is interested to work with us. Myself ,Shiva and Prashanth are making the plan and estimate for the project with Mr. Beluragi. Vinod would arrange for a meeting Ashayein Foundation once we are ready with our estimate. On Sunday evening, again Myself, Shiva and Jayasree visited GOM Orphange, Shivaji Nagar to celebrate one of her friend’s birthday. It was nice evening with children at home and they had shown their dance talents. They asked us to provide few tube-lights and we gave money for 4 tubelights. They have space problem over there, they are still discussing with the chairman to get permission to extend their shelter. We may need to help them, if they get proper permission. Vinod – need to arrange for a meeting with Ashayein Foundation once the estimate and plan is ready. Shiva and Jayasree – Please share with this group, if i have missed anything. We had meeting with Mukhosh group few weeks back and discussed about fund raising and helping each other. We had sent this udpate to our group already. of the Indian Institute of Science, Bangalore . Please visit http://www.mukhosh.org to know more. The best part is Mukosh agreed to provide the proceeds to INDIA SUDAR. 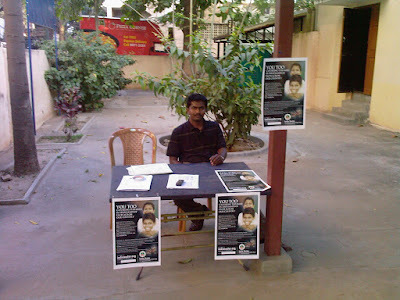 Ravi and Shiva attended on behalf of INDIA SUDAR and we had put a small stall with our posters and pamphlets. It was great experience to meet different people and explain our activities. Show was close to 3 hour show with a break in between. The show was really very good and well prepared. Though we do not understand Bengali, we coul really appreciate their acting, stage preparation, technology usage, co-ordination and their presentation, it was really amazing and inspiring. We are sure a play of this length would have taken them quite some practice. Myself and Shiva explained our India Sudar activities on stage before starting the show. We met different people and they were interested to know what we are doing and how they can support us. One IIsc Phd student from US donated Rs. 500 there and we yet to receive other donation details. 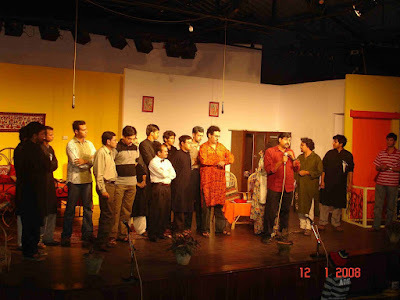 On 13th Jan 2008, Mukhosh handed over a cheque for Rs.5000 as a token contribution to INDIA SUDAR on stage. They yet to check their accounts and calculate. We would get some more contribution from Mukosh :-). On behalf of INDIA SUDAR, we thank MUKHOSH for providing a different platform to reach people and their wonderful support during their show including allowing us to put a stall (with table, chair etc), allowing us to give introduction to audience on stage and etc. Thanks a lot for entire “Mukhosh team” for their support and it was excellent performance. This is the first time India Sudar has partnered in cultural’s for fundraising and it seems to have had a good start. Venue: Chikkakurugodu HPS, Gowribidanur taluk, Chikkaballapur district, Karnataka. – Preliminary written test conducted to select top 5 teams. – Positive overall feedback from the teachers, but for the opinion that a local trainer would be more effective. Special Thanks to: The headmaster, school staff and the villagers of Chikkakurugodu for excellent arrangement at the venue. Sri. C.N. Mohan Rao deserves a special mention for food arrangements to the visiting team of IS/trainers. Another noteworthy contribution is of the villagers who donated for the food and related cost during these programs. got very good experience while working for this project in last one month. providing sound system for Quiz, Stage for Quiz, etc. Rao, BEO, Who are all Co-ordinated the India Sudar project in Chikkakurugodu. I have attached project report for your reference. Org is run by Jayasridhar. He along with his friends started his help in Thiruvotriyur. Later decided to register it and shifted it to Manali New town. Actually, he started to help the Tsunami affected ppl. Then, he picked up 50 selective children(both boys and girls) from Tsunami affected ppl and started a hostel @ Manali New town and registered it. He gives a sheltor for them in that hostel, provides food & materials for studies. 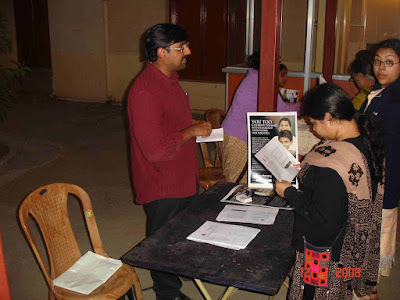 In every week-end Saturday, he arranged some of his friends to take personality development, career guidance classes. The home is having the students ranging from 6th std to ITI. Currently the home is having totally 43 students. Jayasridhar handed over the remaining students to their parents after their conditions have come to a stable situation. Currently the home is run by 3 paid staff. They only teach the students and some times its by some volunteers. He wishes to have a permanent teacher for spoken english class. As far as myself is concerned, he is doing a gud job and gud future vision. He even talked abt the +ve and –ve points of our education system. Mind it.. he is only 12th std and finished his social service cross course in a private institute. So, it will be gud, if we can support him by any means.